A Spinal Screening is a free, yes no obligation appointment when one of our Chiropractors will discuss with you, your health concern and perform a cursory postural spinal examination to determine whether the health concern you have would be amenable to Chiropractic care. A Spinal Screening does not provide a diagnosis it merely indicates whether a formal New Patient appointment is going to be next best step in your journey towards improved health. 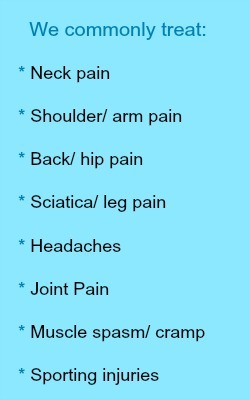 Chiropractor York can arrange this appointment for you. The Spinal Screening process may involve you being asked to stand on our Spinal Analysis Instrument which measures your differential weight bearing (difference in weight bearing between the left and right sides of your body) whilst at the same time allowing us to grid your posture (measure your posture with a line grid) enabling the Chiropractor to record measurements of your posture and correlate it with the weight bearing. Spinal Screening is particularly valuable with children who often complain of back pain associated with wearing heavy and often ill fitting back packs to school. The literature has demonstrated that overweight and poor fitting back packs in children can cause undesirable changes in spinal curves and the discs. The presence of Scoliosis is often identifiable at a spinal screening whilst the child is still growing and the condition is amenable to treatment. The whole process takes only minutes to perform and will provide the Chiropractor with an indication of whether or not to recommend a more comprehensive examination. During the screening process the Chiropractor will discuss with you the Chiropractic approach to dealing with your health concern and if it turns out we can’t help you, we will do our best to refer you to the right practitioner who can help you. So what have you got to lose, call us now for an appointment 01904 466 606 or contact us.